Moscow (Москва), Russia - Starovagankovsky Pereulok 15, 2Nd Entrance, 5Th Floor. 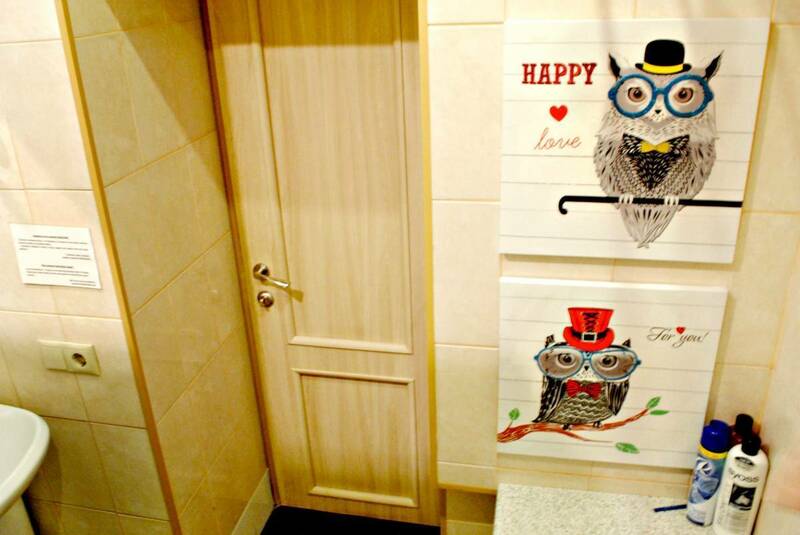 4 rooms: 2x8-bed mixed dorm (700rub/night), 8-bed female dorm (700rub/night), 6-bed mixed dorm (800rub/night). 2 bathrooms. Do you plan a short trip to Moscow and want to feel the real spirit of this centuries-old town? 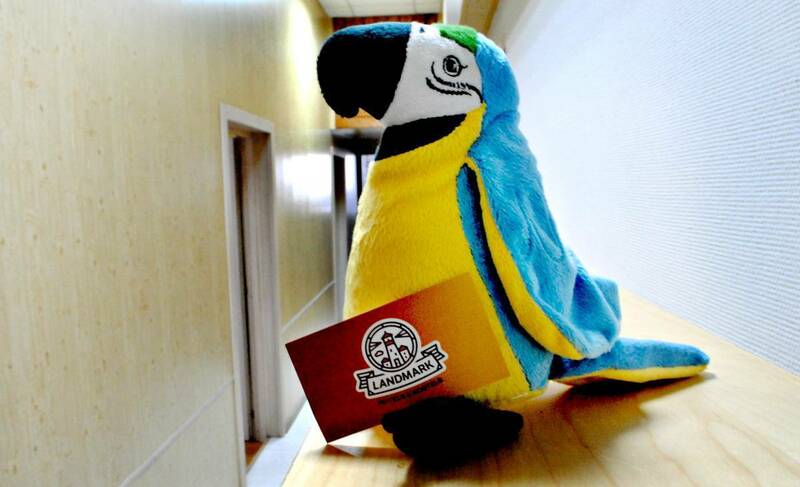 Not a problem — the best choice is to stay at Landmark Hostel! Just imagine — you get out of the hostel, turn round the corner and see the Kremlin of Moscow, the place with more than 500-years’ history! Fiction? No, this is reality for our guests and that is why more than 600 people chose to stay at our hostel monthly! Round the clock reception and our English speaking staff is always ready to help you in any situation — we will advise you the most interesting places to visit in Moscow, you can always buy an English language excursion ticket with us, order a transfers to airport or a get visa support. Interested? 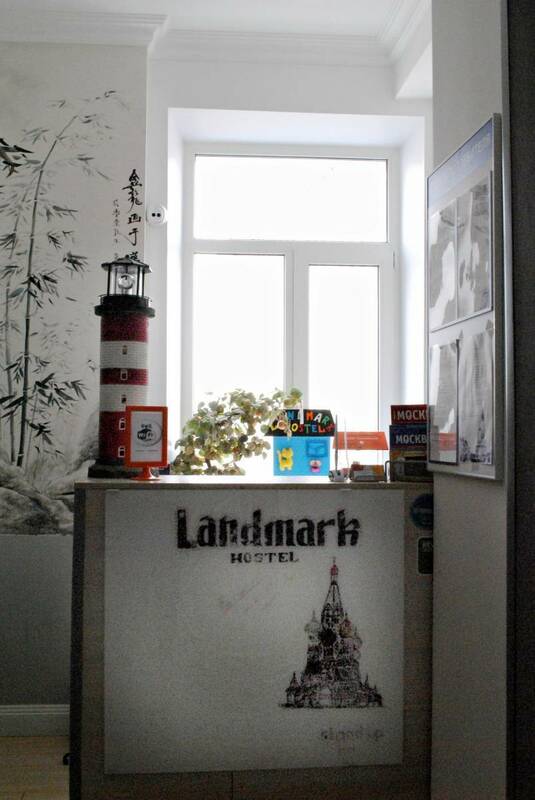 Then let us make you another offer — if you are staying at our hostel for more than 5 days, you will get support for Russian visa for free! 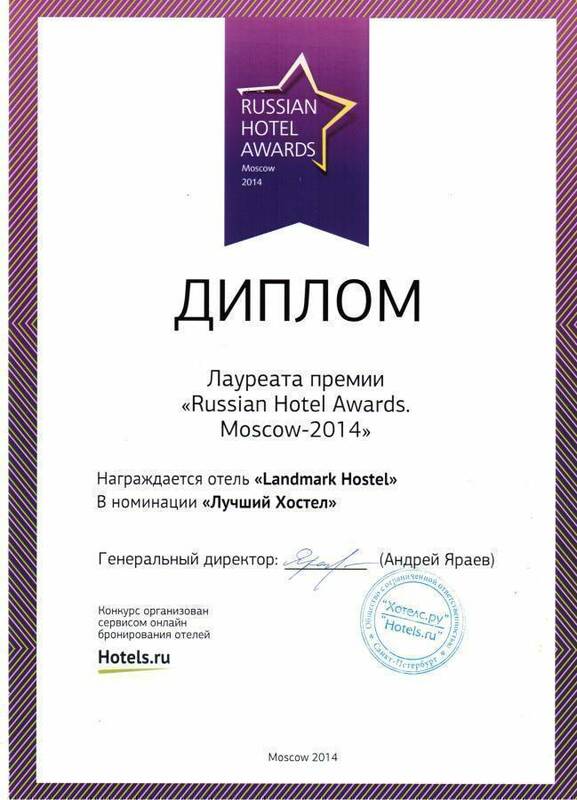 Landmark Hostel — the closest hostel to Kremlin and Red square! We offer you well-equipped 6-bed and 8-bed rooms, furnished with cloth hangers, luggage places, two AC outlets per guest and safes for valuable belongings. 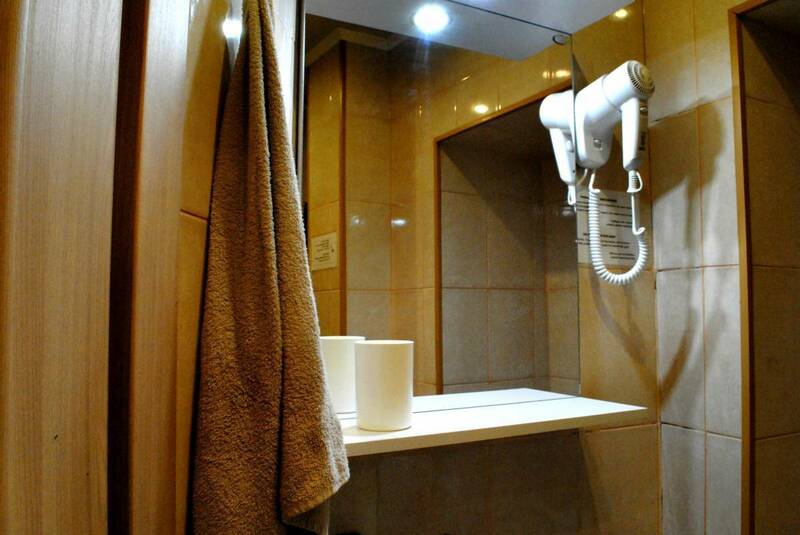 You can also use our kitchen with all necessary equipment, and of course, get free access to high-speed Wi-Fi internet. We have scrupulous neatness in our bathrooms and toilets, public areas and rooms, and our professional security is responsible for your safety. 8-bed mixed dorm: comfortable room with extended floor-space. The rooms is equipped with 4 bunk beds, TV set, individual lockers for each guest, safes, luggage places, wardrobe, tables, individual lighting, mirrors. The windows open the view on Vozdvizhenka street, Lenin’s library, Arbat district and the Ostankino tower. 8-bed female dorm: comfortable room with extended floor-space. The rooms is equipped with 4 bunk beds, TV set, individual lockers for each guest, safes, luggage places, wardrobe, tables, individual lighting, mirrors. The windows open the view on Vozdvizhenka street, Lenin’s library, Arbat district and the Ostankino tower. 6-bed mixed dorm: comfortable room with extended floor-space. The rooms is equipped with 3 bunk beds, TV set, individual lockers for each guest, safes, luggage places, wardrobe, tables, individual lighting, mirrors. The windows open the view on Vozdvizhenka street, Lenin’s library, Arbat district and the Ostankino tower. Red Square, Okhotniy Ryad, Historical Museum, Manege square — all these places of interest really lay within a 5 minute walk from our hostel! And if you want to find yourself in the very heart of the cultural life of the capital, we have another surprise for you — at a 7 minute walking distance from the hostel is the Old Arbat — the oldest street of Moscow, where the most exciting clubs, restaurants, bars and museums are situated! Another big advantage of our hostel is its transport accessibility — we are just 5 minutes away from 4 metro stations. Starovagankovsky Pereulok 15, 2Nd Entrance, 5Th Floor. Subway: exit from the metro station Biblioteka imeni Lenina (red line) on Vozdvizhenka street. You have to go out toward the street Novy Arbat 50m, then turn left on Starovagankovskiy pereulok and go 100m until building 15, 2-nd entrance. Dial up 55 on intercom, and go in building. Get up on the 5-th floor. Welcome!